We invite you to discover who has made Steckley - Gooderham Funeral Homes the ultimate provider of healing experiences in the community. 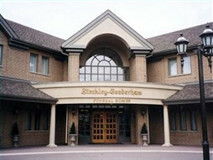 This section contains the heritage, vision, and the people behind Steckley - Gooderham Funeral Homes' reputation of quality, sincerity, and trust. Check in frequently for news and updates about our staff members.